Generale Sistemi is pleased to announce the acquisition by our main partner TagMaster of the important technology company CitySync Ltd. More details in the press release indicated below. TagMaster, the leading manufacturer of advanced RFID products for vehicle identification within Traffic Solutions and Rail Solutions, today announces that the company acquires the LPR unit (CitySync Ltd) from Image Sensing Systems for a purchase price of approximately 34 MSEK. CitySync Ltd is a leading company in LPR technology and they have been in the business since 1997. The company turnover is around 40 MSEK and it has around 30 employees, of whom half is working with product development, and the company is located north of London. The products are sold primarily in England, The Middle East, Western Europe and in the USA. CitySync are known for having one of the market’s best (fastest and most accurate) algorithms for reading of number plates and their products are used within traffic, toll roads, parking and for security solutions. TagMaster has already communicated its intention to, as part of its strategy, increase the product offering through selective acquisitions in adjacent technology areas like sensors, detectors and camera technology (LPR/ANPR) to be able to offer the type of information required to build what today is called smart cities. ”We are now taking our first step to realize the acquisition part of our strategy with an ambition to increase our turnover and our profit in a faster pace. We are looking forward to be able to offer our customers broader solutions through integration of our different technologies (RFID and ALPR) to make a more attractive offering. TagMaster and CitySync are very complimentary and they share the common basic values required to build a solid growth within Traffic Solutions. We expect synergies among others in sales where our combined sales force will be able to get better market coverage with a bigger portfolio of products and which will also in the future offer more solutions. 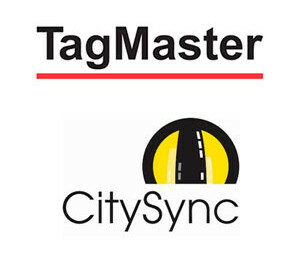 We are pleased to be able to create the future innovations within Traffic Solutions together with our new colleagues at City Sync” says Jonas Svensson, TagMaster’s CEO. The City Sync business is transferred by July 10 and it is expected to contribute with around one half yearly turnover (which means around 20 MSEK) to the total turnover of TagMaster 2015 while some structural changes may influence the total result negatively.